Teachers are always racing against the clock. And the race is never more fierce than when we’re trying to pack a year’s worth of lessons into not enough way-too-short class periods. Throw in snow days, field trips, and school production rehearsals, and all of a sudden the challenge starts to feel impossible. 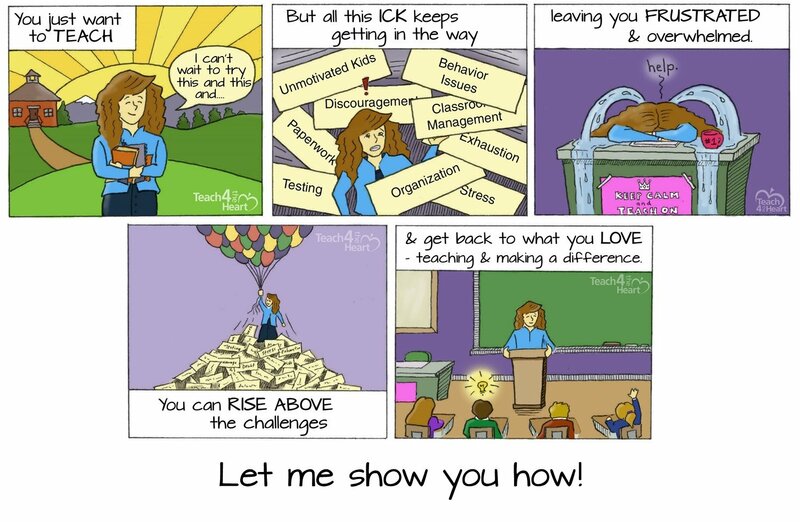 But be encouraged, dear teacher. You CAN get through that year’s worth of lessons. Or, at the very least, you can make it further than you normally do. The trick is to take advantage of every minute of class and not to let a moment go to waste. Here are some ways to do that…..
Know if you’re ahead or behind. Ahead – bahahaha!! But seriously, it is important to know where you stand. So if you haven’t done so yet, make a calendar for the rest of the year that has tentative dates of when you should be finishing each section, chapter, or unit. Then check yourself against this each week to see if you are behind schedule. If you are, that should give you a greater urgency to find a way to get back on track. Cut out sections or entire lessons if needed. If you get behind, take a look at your plans and figure out a lesson that you can either abbreviate or cut entirely. Look a few weeks ahead as well – you don’t need to get caught up right away, but the goal is to cut out the least essential lesson possible. It’s much better to nix that lesson now and save time for that important lesson that’s at the end of the curriculum. Know when to spend extra time on a concept and when to move on. Don’t automatically spend extra time on a topic just because some of your students aren’t getting it. Instead, ask yourself how crucial this topic is. If it’s a foundational concept, then another day or two is a good investment. If not, it’s actually better to move on, even if some of your students still don’t get it. Never just stand in front of the class & pass out papers. This is a huge timewaster. At the very least, give instructions or announcements as you pass out papers. Even better, have students pass them out for you. Or pass them out while students are working. Learn to say, “Ask me after class.” Don’t let irrelevant questions lead you down a rabbit trail (unless you have a good reason for going there). Instead, just say, “That’s a great question. Ask me again after class.” If the student really cares about the question, he’ll come talk to you. If not, he won’t. This also works great for student complaints. Go over tests at the end of the period. Have you ever planned to spend 10 minutes going over a test and it turned into half the class period? Instead, stop class 10 minutes early to go over the test. Problem solved. Use question marks when grading in class. Do not take grading questions during class. Not only do they put you on the spot but they also waste a TON of time. Instead, teach your students to put a question mark next to any answer they’re not sure is current. Same thing for students who think their paper is misgraded – just have them put a question mark at the top. Read answers quickly. You might be tempted to think that if you read the answers slowly enough that little Johnny will be able to keep up. But it just doesn’t work that way. No matter how quickly or how slowly you read them, they’ll be students who “can’t” keep up (aka aren’t paying close enough attention). So go ahead & read the answers quickly. It saves time, is less boring, and teaches the kids to pay better attention. 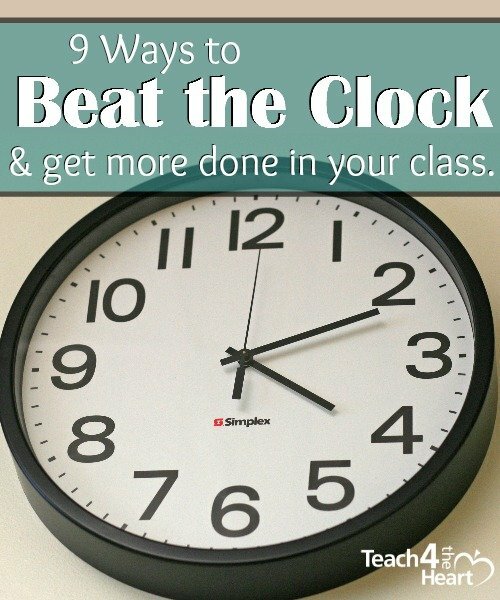 What else helps you use your class time efficiently? I so enjoyed you Teaching, and used some the very next day! Thankyou so very much for shareing with us! Luckily I got to go back in, because I could not hear that night, it kept breaking up.